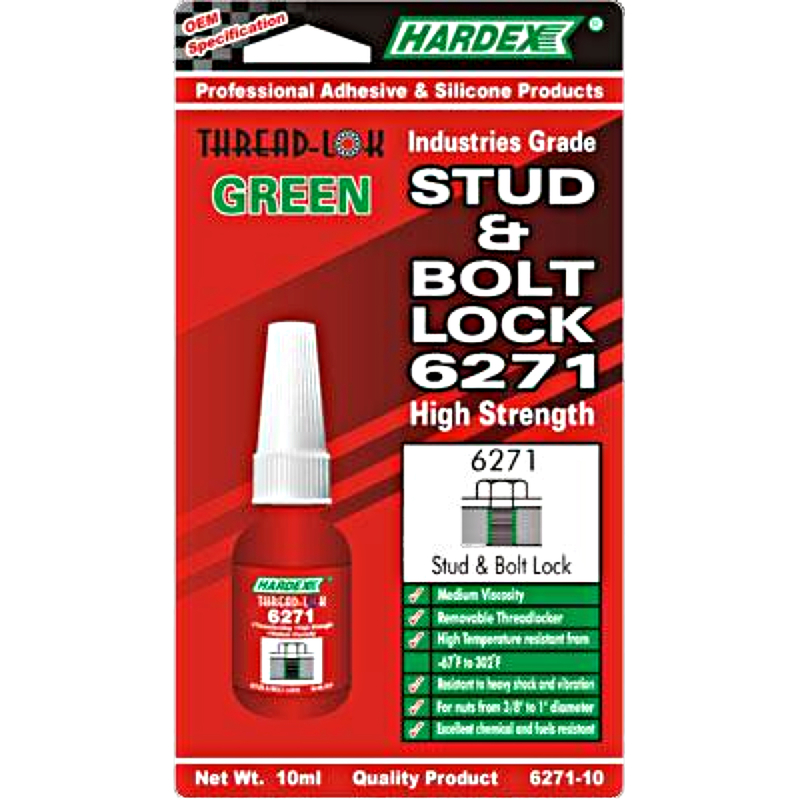 Threadlock 6271 anaerobic threadlocker is a green colored coded medium to high strength and medium viscosity for general purpose fasteners. Excellent chemical and fuel resistance. It helps to prevent loosening of bolts, screws and studs up to 1” diameter from vibration. Heat may be required to disassemble the part. Ideal application for valve sets, fasteners on vibrating machines, automotive suspension bolts, refrigeration parts, transmission and engine block studs.